Deputy president Elyakim Rubinstein and judge Noam Solberg of the High Court overruled the opposing opinion of judge Ori Shoham on Monday, and rejected a petition submitted by business owners in Jerusalem regarding kashrut (Jewish dietary laws). The business owners had petitioned against having the law banning misappropriation of kashrut being enforced against them. In a rare move, the judges decided to accept the position of the Chief Rabbinate as the correct position, as opposed to the position of the attorney general that had been presented to them. 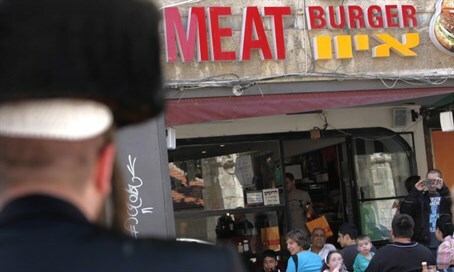 Former Attorney General Yehuda Weinstein had opined that establishments can present themselves as kosher even if they only have a private kashrut certificate and not a certificate from the rabbinate. That opinion opposed Israeli law, which mandates that the Chief Rabbinate or local rabbinate are the only sources that can determine the kosher status of a business. That law was meant to create uniformity in the kashrut process, ensuring that no false certificates are given to institutions that actually do not meet the requirements of Jewish law and serve non-kosher food. In making the ruling, Solberg wrote that the correct interpretation of the law "is the one the Chief Rabbinate proposed to us." He emphasized that it is forbidden for a business to present itself as kosher without a kashrut certificate from an authorized body. The judge noted that there is no reason to give precedence to the attorney general's interpretation of the law over the interpretation of another governmental arm - in this case the Chief Rabbinate. However, due to Judge Rubinstein's position the application of the ruling was limited to two years, during which the Chief Rabbinate will need to organize the kashrut branch so as to get rid of problematic ties between kashrut supervisors and business owners. Ashkenazic Chief Rabbi David Lau welcomed the decision, saying, "there is a governmental kashrut branch whose role is to provide the stamp of approval for the kashrut of food goods." "Any decision that would allow giving alternative kashrut certificates, some of which are even fictitious, would lead to a serious misleading of the wide public and I welcome the fact that this was avoided," added Rabbi Lau.